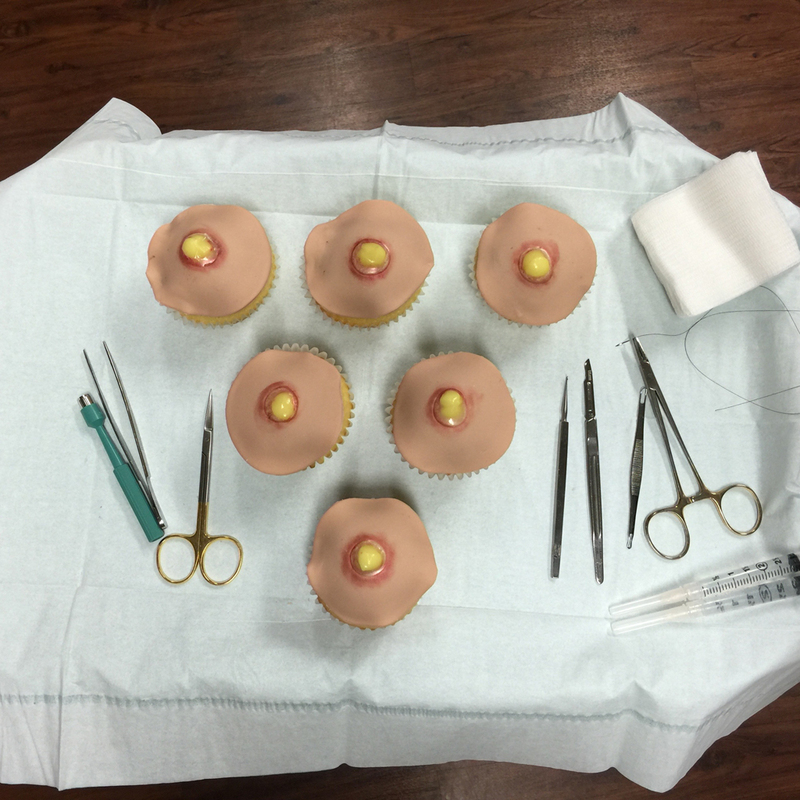 Would You Sink Your Teeth Into a Pimple-Popping Cupcake? There’s nobody I enjoy watching more on YouTube than Dr. Sandra Lee, aka Dr. Pimple Popper. This may qualify me as the world’s grossest human, but I take comfort in knowing that over 1.5 million other subscribers share a love for combatting some all-too-common skin problems. Whether it’s a cyst, fatty lipoma, pesky blackhead or pore of winer (my personal favorite! ), we “popaholics” find a certain level of satisfaction and fascination in viewing their messy (but sometimes clean) extractions. You’d think that after watching hundreds of videos featuring blood, pus and unidentifiable bodily fluids that I’d be somewhat immune to anything vomit-inducing. But after viewing these Blessed by Baking pimple-popping cupcakes that were gifted to the world’s most popular dermatologist, a line has been crossed. What beautiful irony. Cake may be cake and cake is surely delicious, but I'd prefer to keep my odd YouTube viewing habits separate from my dessert. Perhaps it's my own inability to not imagine biting into an actual infected zit, but I don't think anyone can get over how closely its cream resembles the crap that hits your bathroom mirror in the morning. Either way, I'm pretty impressed with the artistry and accuracy of these treats, no matter how much they make my stomach turn.